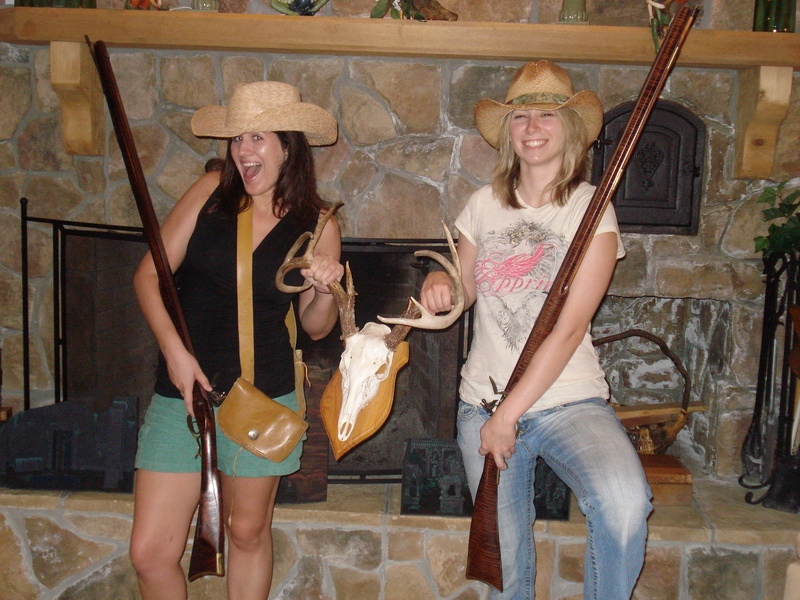 I’m a Missouri girl always…even if my birth certificate says “Kansas” and my driver’s license says “California”. With Labor Day weekend upon us, this is the unofficial last weekend of summer. School has or is starting, vacations are concluding, and the last of the barbeque parties are rolling out this weekend. 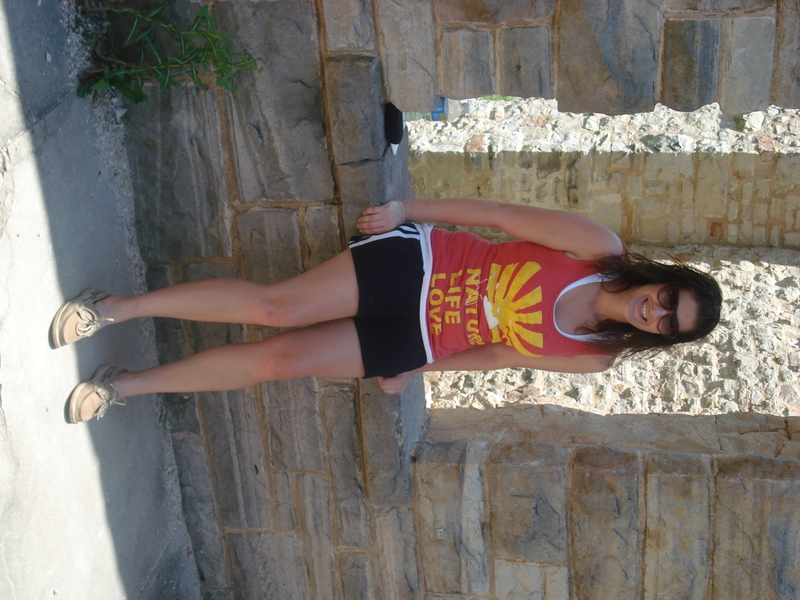 Therefore, I’m saying farewell to summer with a post about my home-state’s quintessential summer weekend getaway. 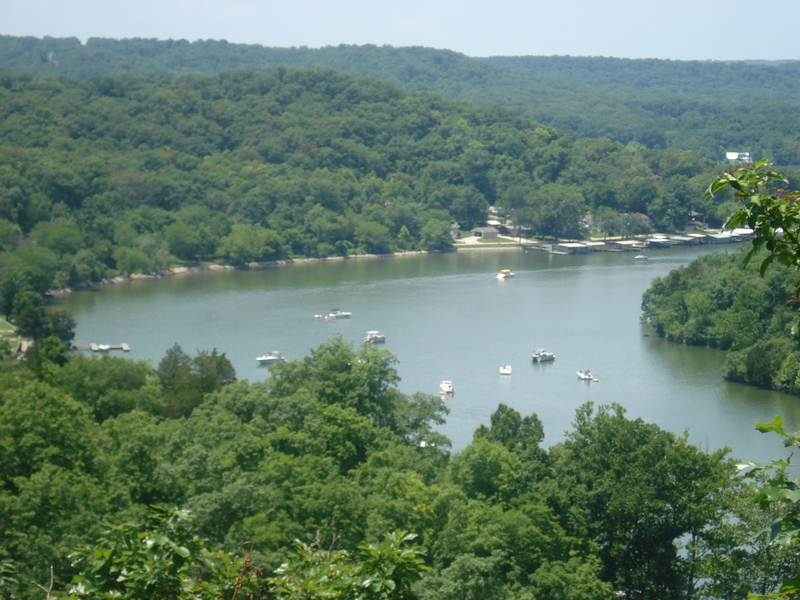 Every state has their version of “the lake” and a summer getaway for the locals, but The Lake of the Ozarks holds a special place in my heart because it is my home-state’s summer destination. I usually fly back to Kansas City for Memorial and Labor Day weekends, and flew back this year for Fourth of July weekend, to then spend three hours in the car to go to the lake with my family. That may seem silly, especially when I live in Southern California, but it’s a tradition and time with my family that I’m not ready to let go of yet and may never want to let go. 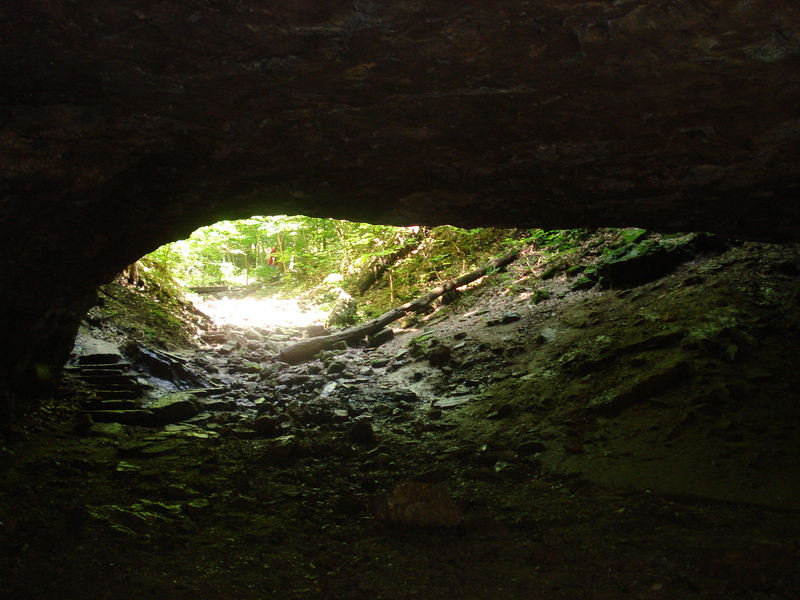 Plus, there’s still plenty for me to explore in the area, such as Jacob’s Cave. Come back next summer for my potential post on that! 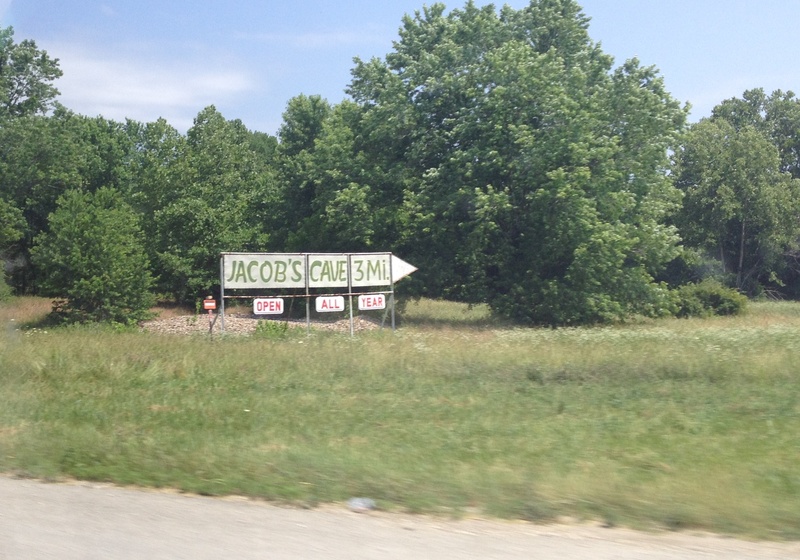 This sign has been teasing me for years! I promise to visit someday. 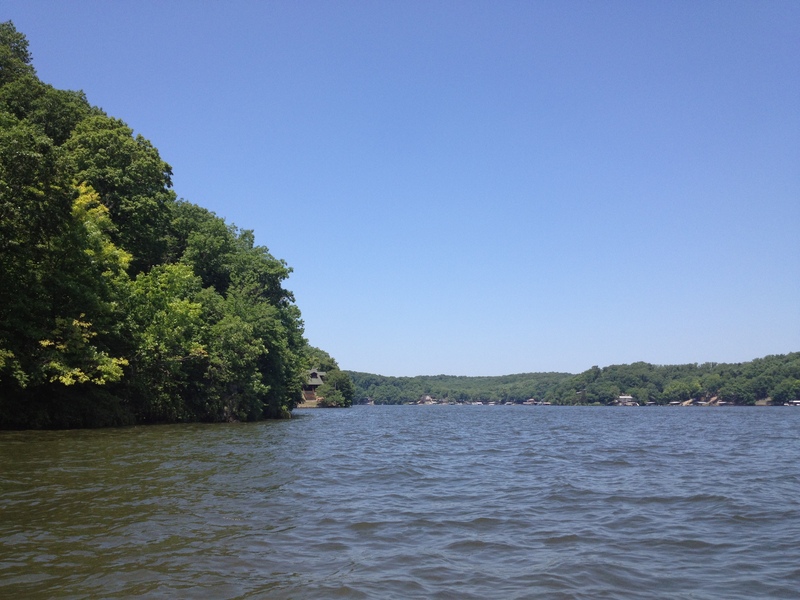 There are numerous routes to take to the lake, but my personal favorite, even if it’s not the quickest, is to head to Boonville and then take Highway 5 south through Tipton to Gravois Mills where my family’s lake place is located. 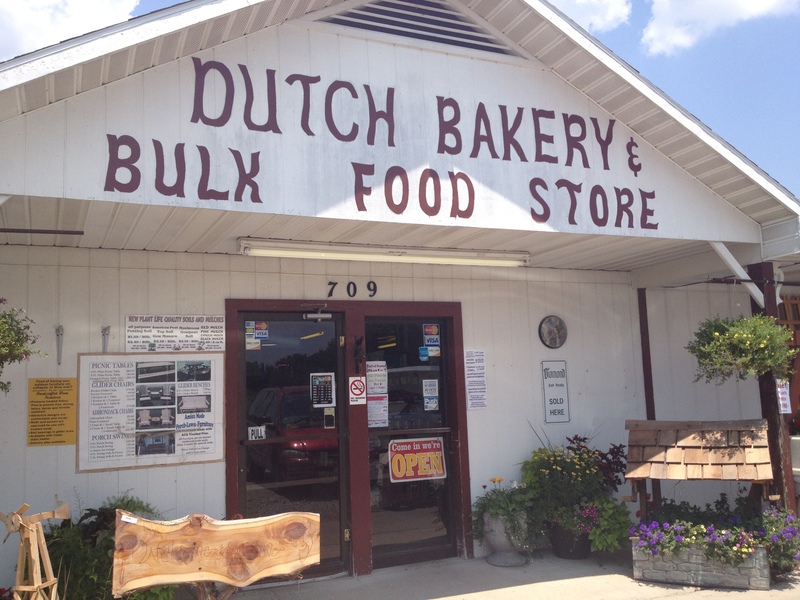 I enjoy this route the best because it takes you through the countryside of Missouri AND we get to stop at the Dutch Bakery in Tipton where you can eat amazing homemade sandwiches! But also along this route is Ravenswood Mansion, and it’s open for tours. The awesome Dutch Bakery in Tipton! Here’s a peek of Ravenswood as we approach the home for our tour. After years of driving past this place and saying we will tour it one day, we finally did on one of my last summers at the lake before I moved to Los Angeles. We weren’t sure when I would be back in this area so it was now or never if we wanted to see inside the mansion. Luckily they were open on the day we randomly decided to go, and the family happily provided a tour of the mansion. 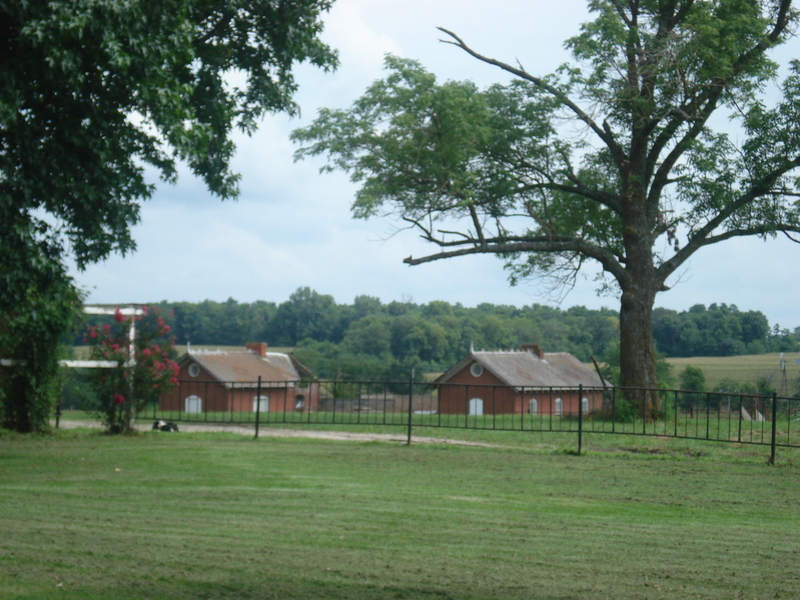 Much of the property was purchased from the government in 1825 for farming. 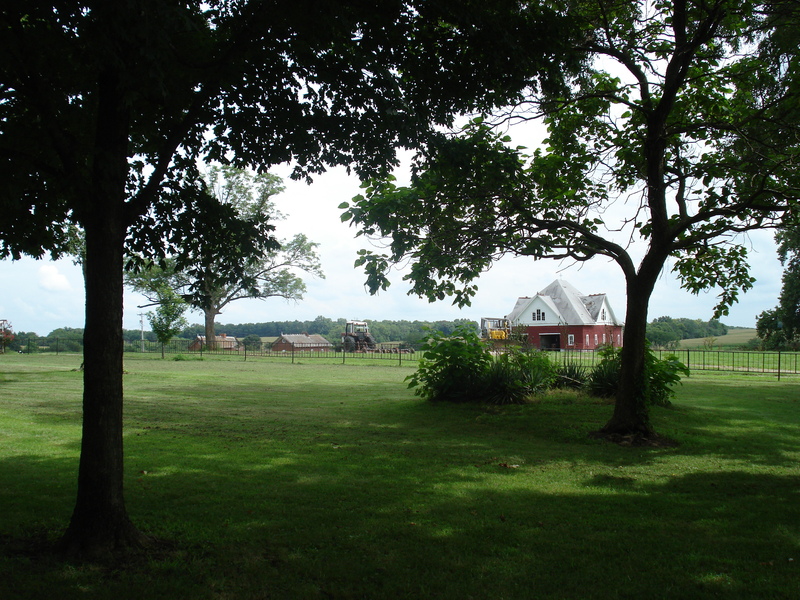 The property includes 2,000 acres of farm and the Leonard family still manages the farming operation. 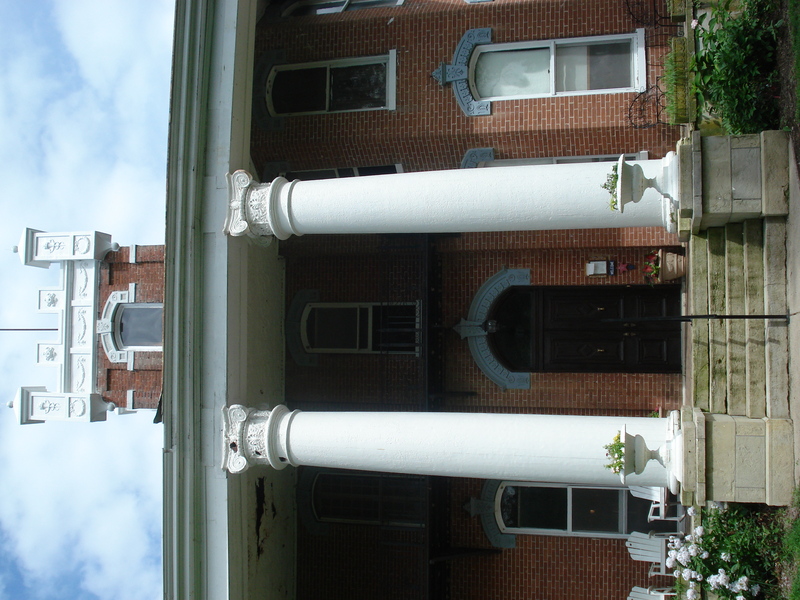 There are over 30 furnished rooms in the three story mansion. 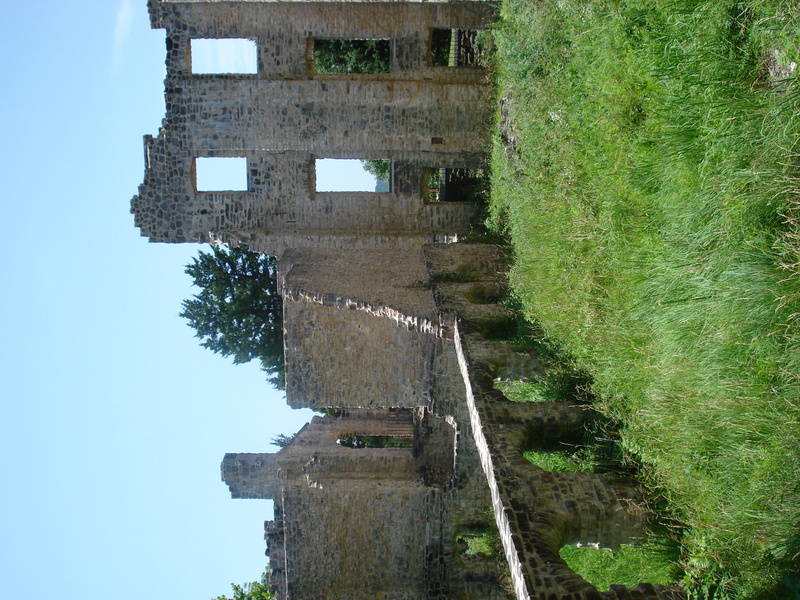 The mansion is grand but also in need of constant major repairs as is common with these old plantations. 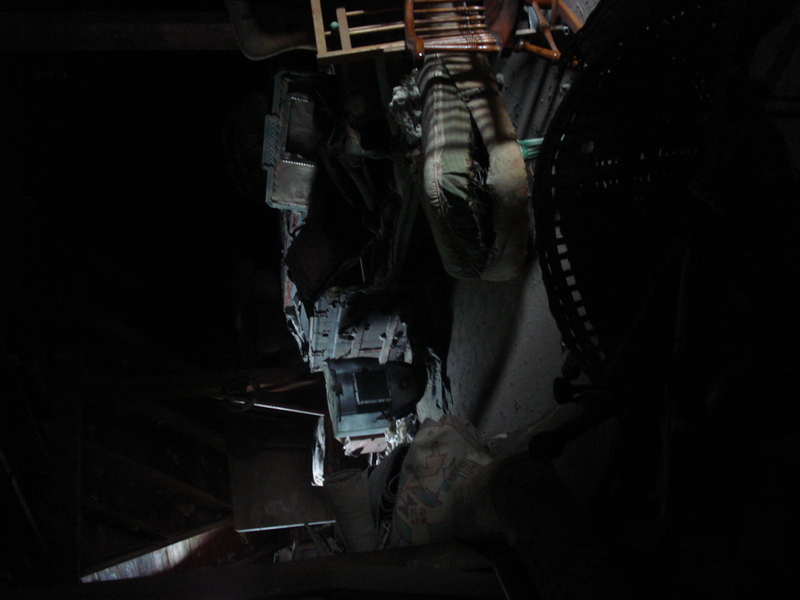 A view into the attic…definitely eerie and dusty but I imagine there are some amazing finds and antiques hidden away in here. 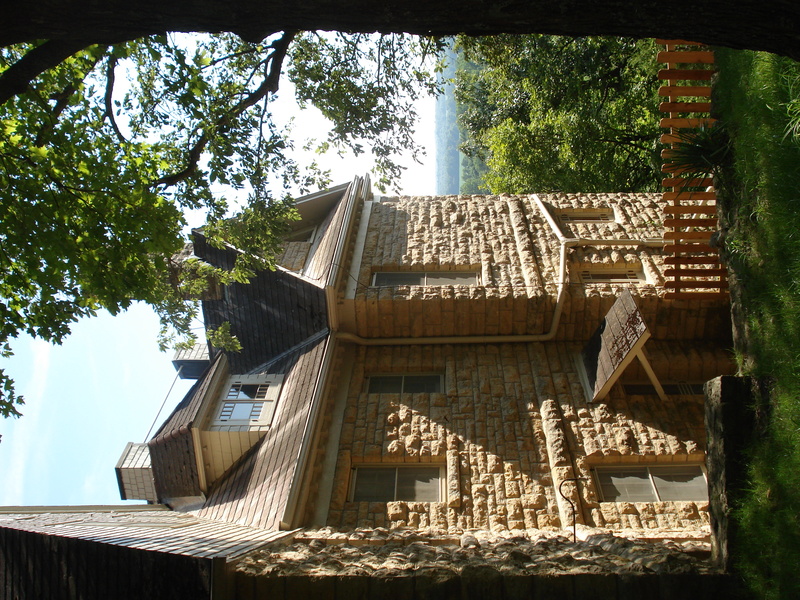 Another route to take to the lake is to go through Sedalia, and by traveling this way you get to see the Bothwell Lodge nestled in the bluffs along Highway 65. Same as with the Ravenswood Mansion, this big house on the hill was a site we drove past often with the intention of visiting someday. So one day while driving back from the lake, mom and I made a detour to finally visit this beautiful mansion we eyed from a distance. 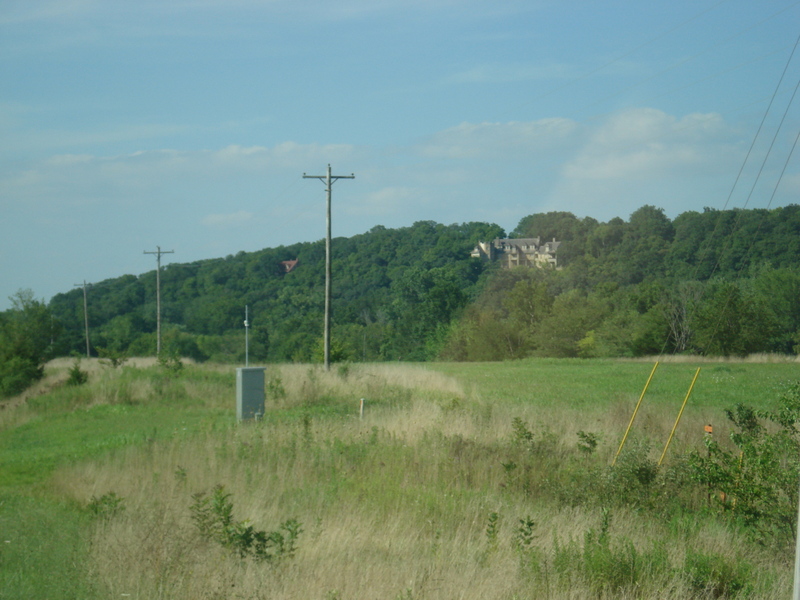 A blurry picture of Bothwell Lodge from the highway. A better view of Bothwell Lodge from the highway. 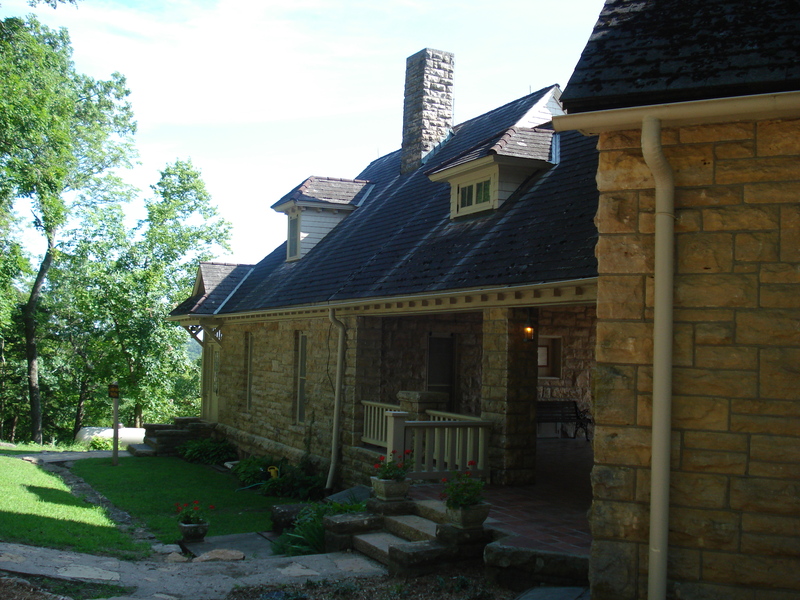 Bothwell Lodge State Historic Site is located north of Sedalia off Highway 65 and offers a tour of Bothwell Lodge and hiking and mountain biking trails. 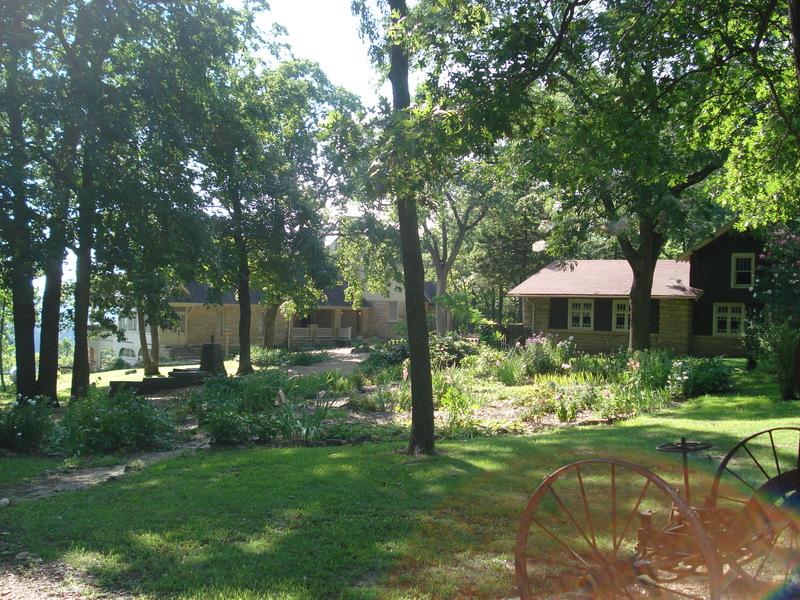 The lodge was constructed by John Bothwell, a lawyer in Sedalia, who first purchased the land in 1890 when he visited the area and was impressed by its natural beauty. Bothwell built his mansion in four stages from 1897 to 1928 as his summer home. 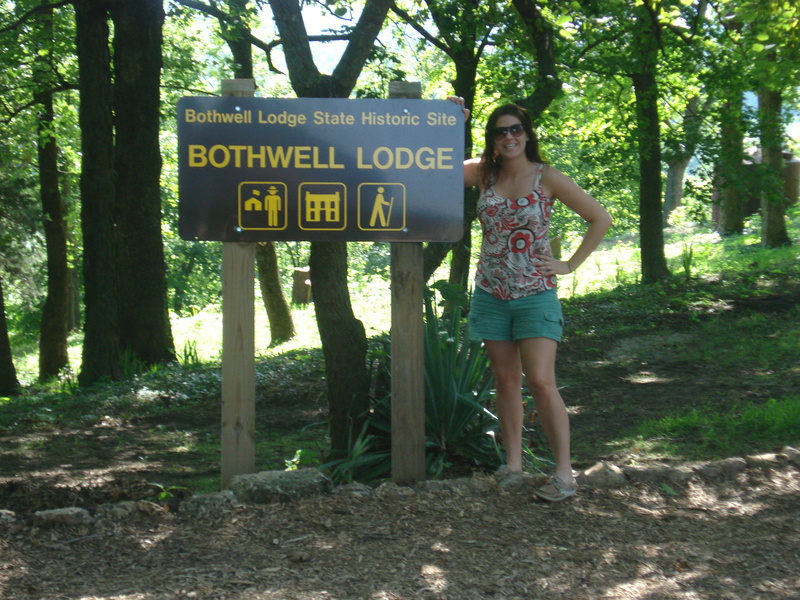 Bothwell was a widower and often invited friends and family to stay with him at the lodge. Upon his death, the lodge was left to a group of his friends known as the Bothwell Lodge Club. 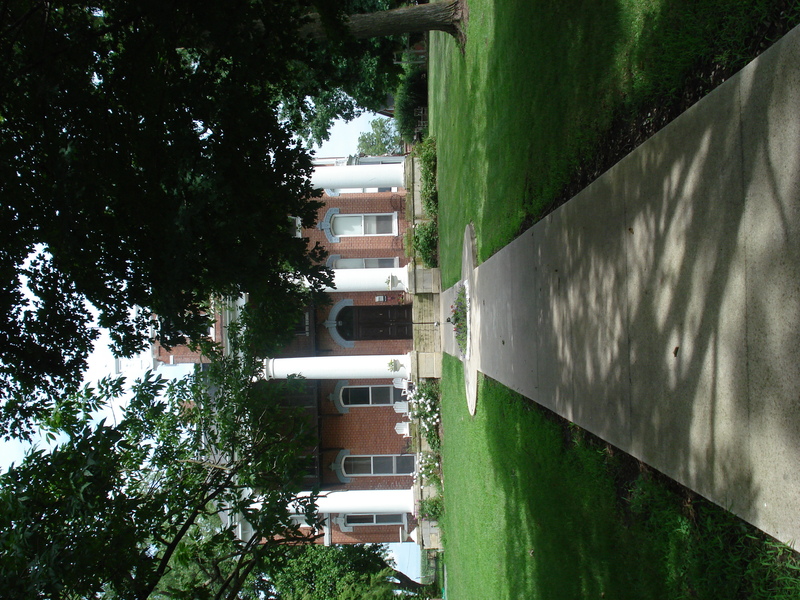 The lodge was in their control as long as more than five members were alive; when the sixth to last member passed away the lodge was offered to the state of Missouri in 1969 as per the terms in Bothwell’s will. Fiive years later the state accepted the offer and the park was thus established in 1974. 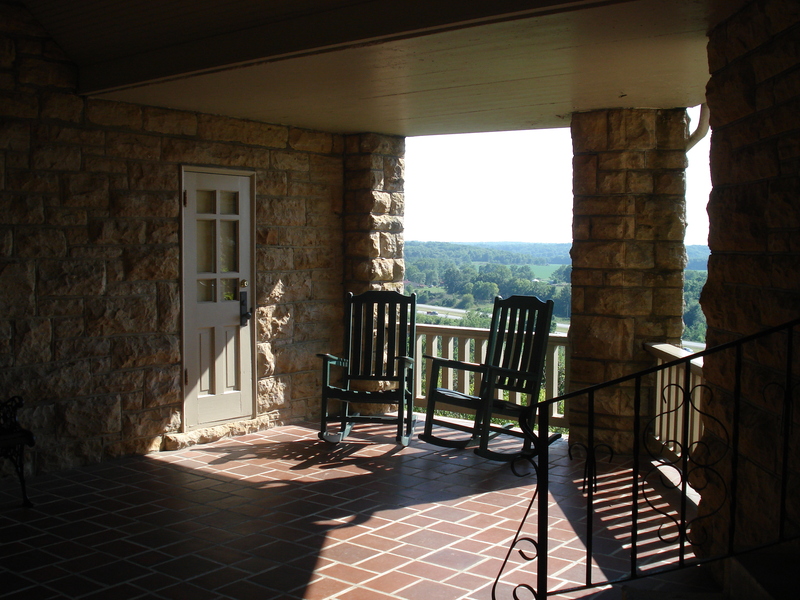 The Bothwell Lodge is a gorgeous stone mansion that has a spectacular view. 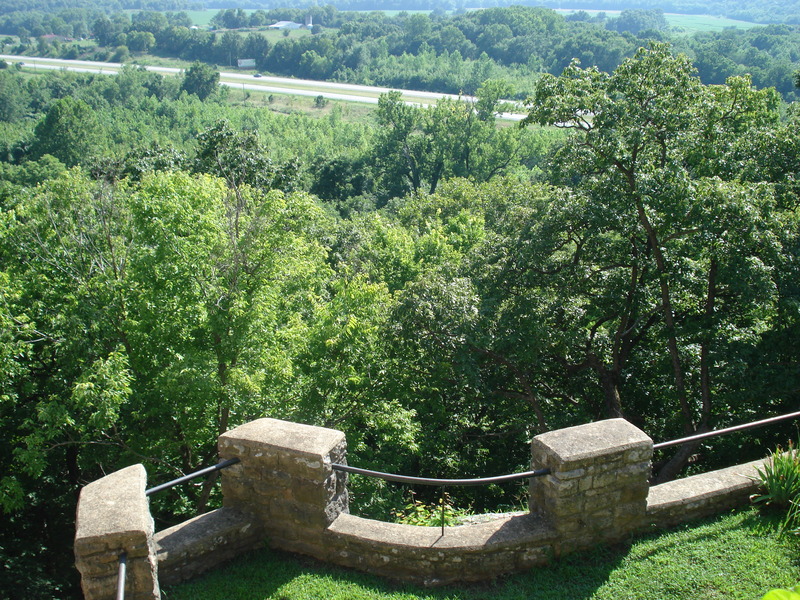 It’s definitely worth a visit and you can enjoy a nice picnic along one of the trails while there. The Bothwell Lodge grounds also include a garage and a second home. John Bothwell named his property Stonyridge Farm. It was later changed by the state to Bothwell Lodge. 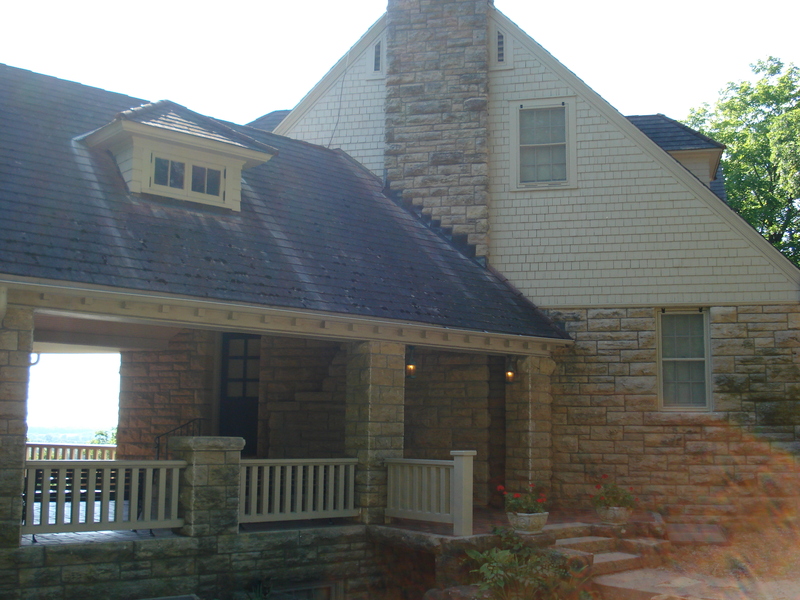 The limestone used in the home’s construction was quarried on site. The Bothwell Lodge is 12,000 square feet with 31 rooms and feels very much like a castle. A view of the valley and Highway 65 below from the lodge. 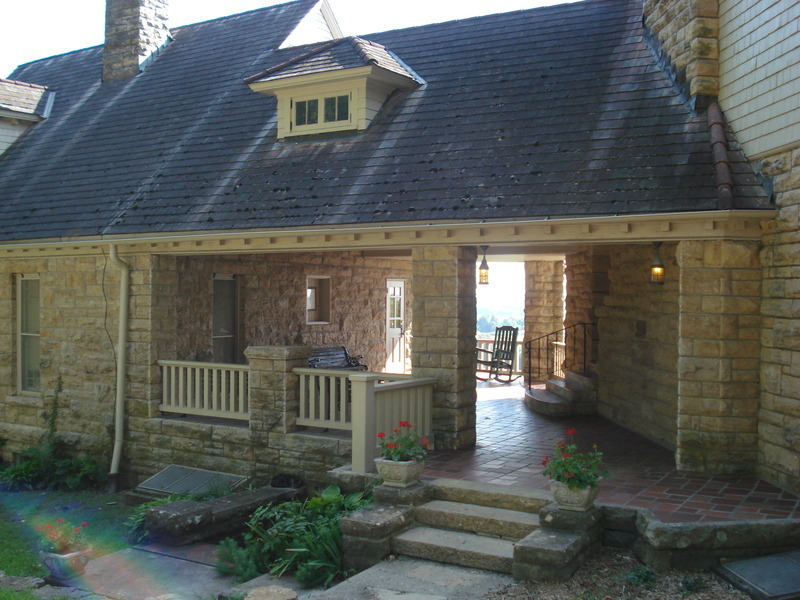 The stone lodge sits 120 feet high on a bluff overlooking the countryside. The Bothwell Lodge sits atop two natural caves, and Bothwell tried to utilize one of the caves for natural air conditioning but the attempt failed. 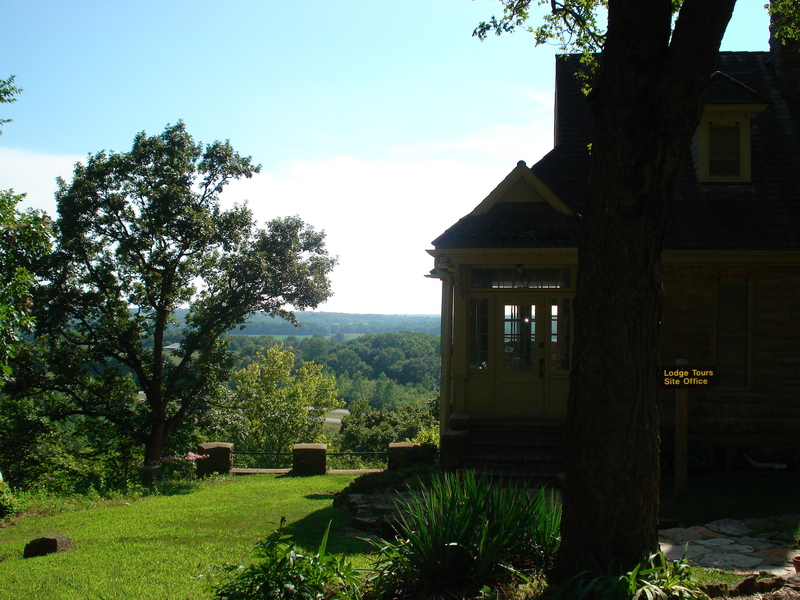 The porch offers a beautiful view of the valley. The lodge is an eclectic combination of various styles with Craftsman influences. 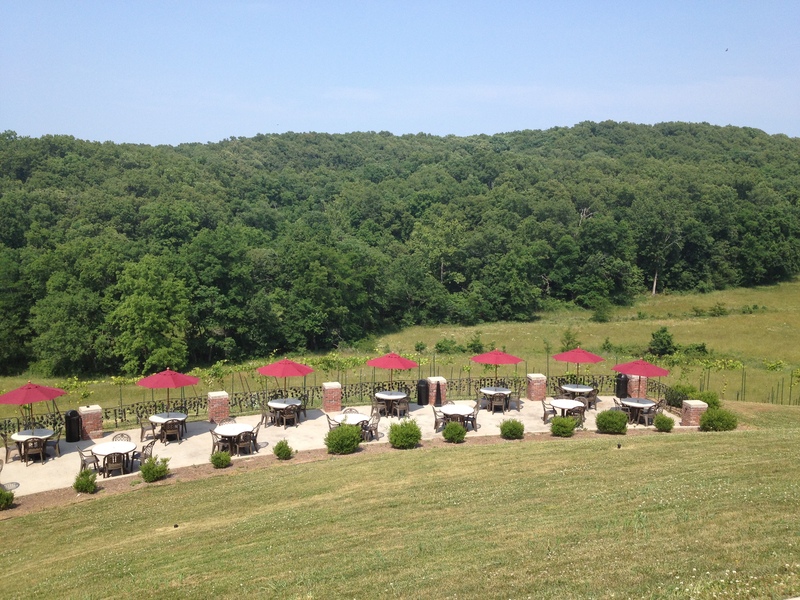 There are beautiful views of the Missouri landscape from the patio. 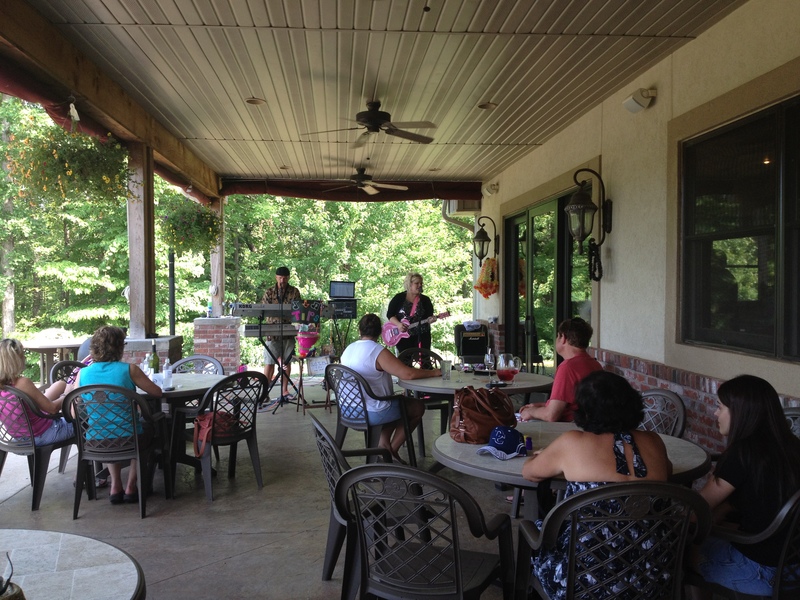 On the weekends there is live music on the patio by Sax on the Beach. The band is so much fun! Near Seven Springs Winery, or Seven Hills as my mom likes to call it ;), is Ha Ha Tonka State Park which is another favorite location of mine to visit at the lake. 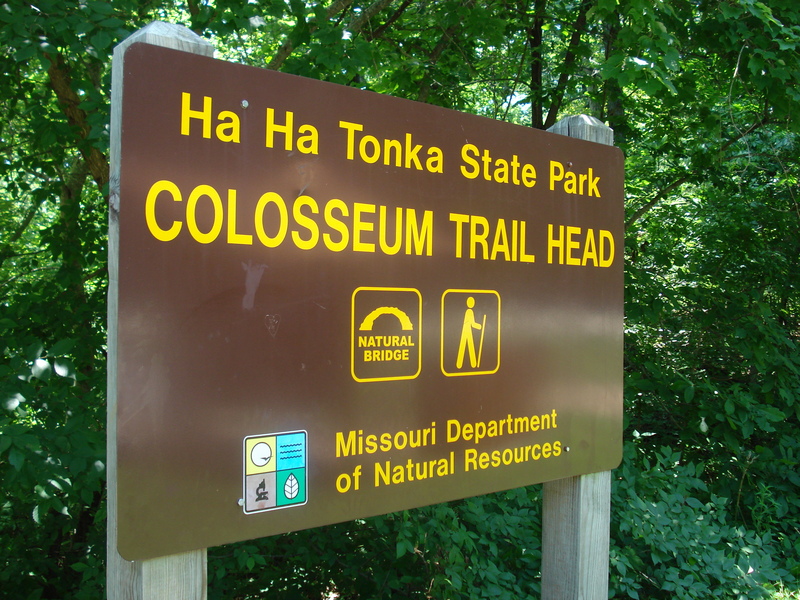 Ha Ha Tonka State Park is a great place to exercise your legs and take in the beautiful Ozark bluffs while also viewing the Lake of the Ozarks from high above. 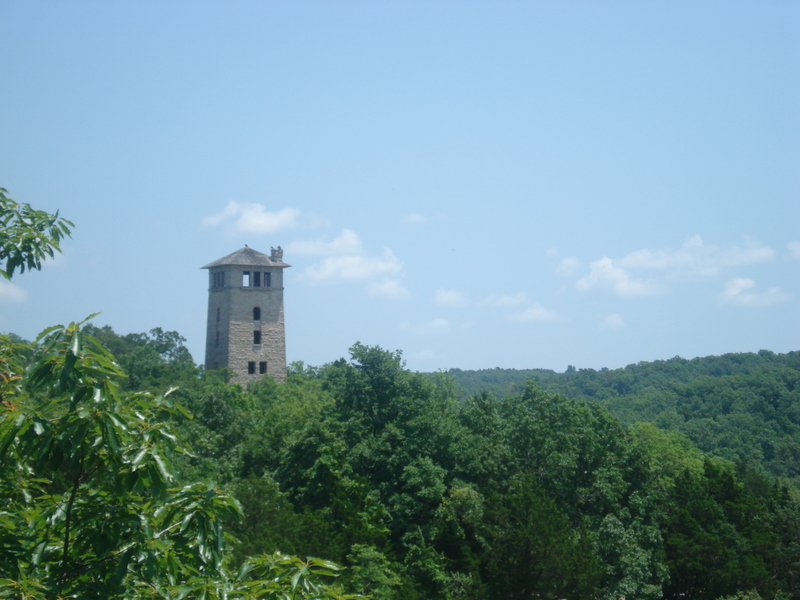 The park is located about five miles south of Camdenton on the Niangua arm of the Lake of the Ozarks. 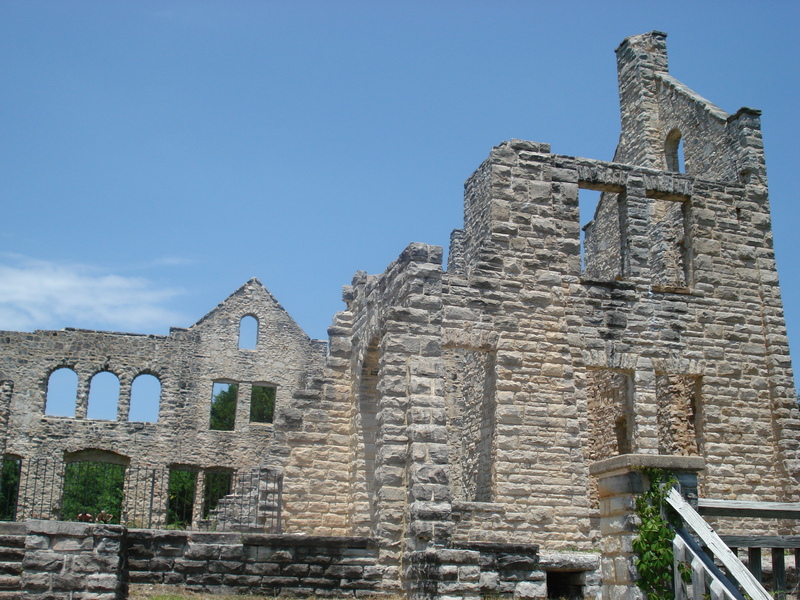 Ha Ha Tonka offers plenty of sites to explore including caves, sinkholes, natural bridges, bluffs overlooking the lake, and of course the most notable feature is the “castle”, which is the stone ruins of an early 1900s mansion modeled after the medieval European castles. 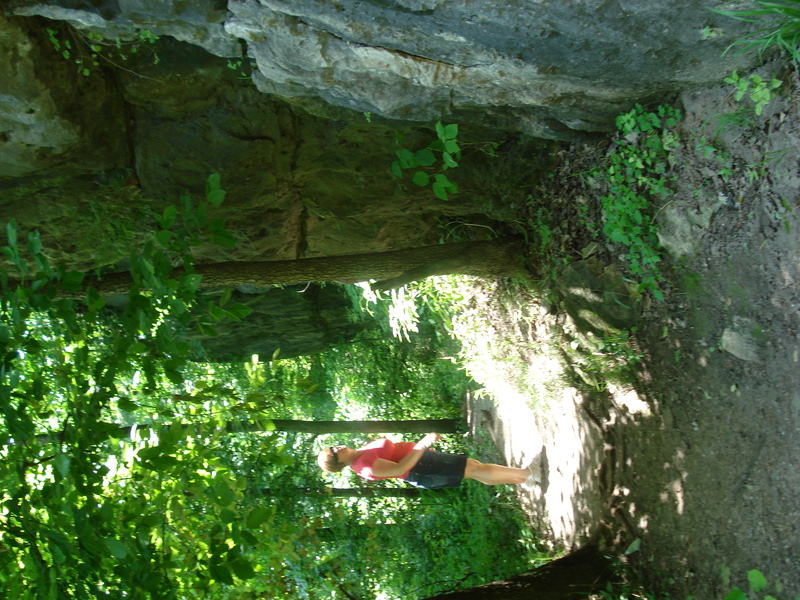 When mom and I visited the park we hiked to a natural bridge and then on up to the “castle”. 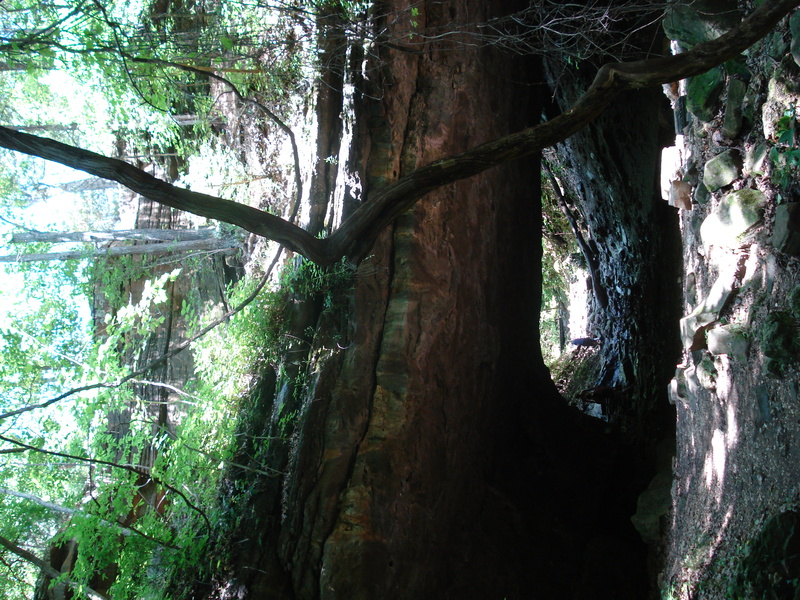 The natural bridge we visited is located on the Colosseum Trail. 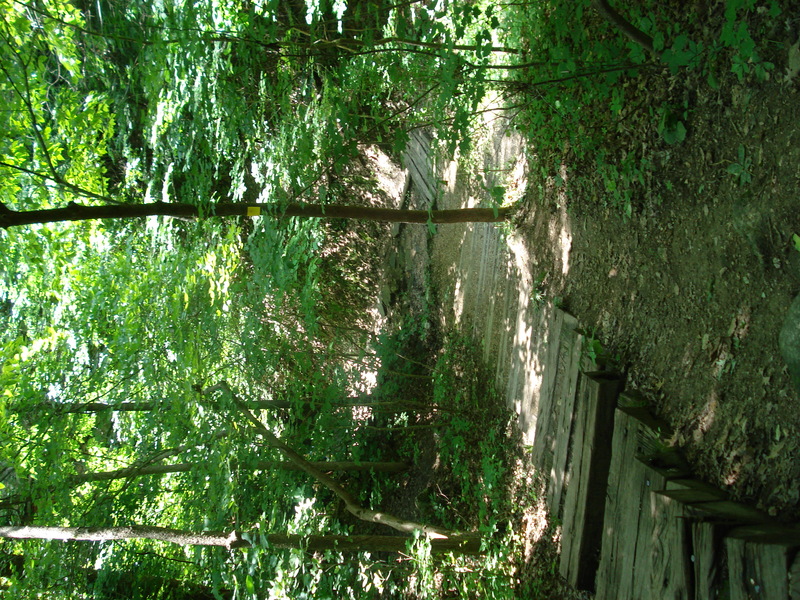 It’s an easy hike, just shy of one mile, with plenty of shade so I recommend this one if you’re looking for a nice walk on a hot summer day. 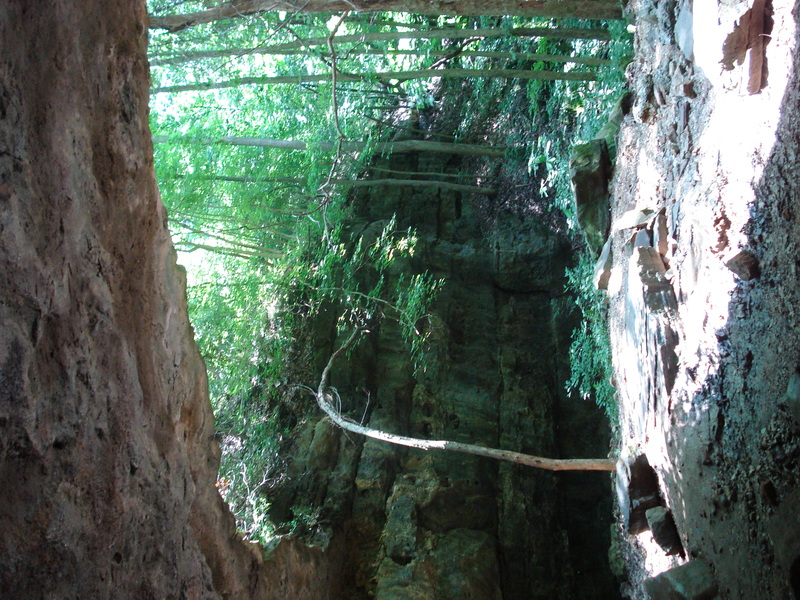 The Colosseum Trail is a natural surface trail that winds under the natural bridge and through a large sinkhole that fills with wildflowers in the Spring. 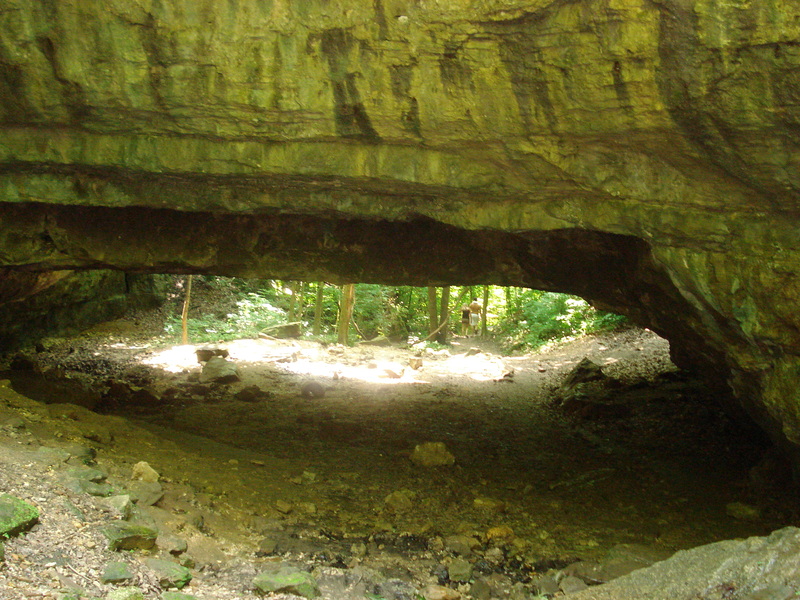 The natural bridge is a massive stone arch that remained after a cave system around it collapsed. The natural bridge was actually used as a route to the castle until it was closed to automobile traffic in 1980 due to the narrow road. This trail is a nice and gentle hike to take, and there are more than 15 miles of trails in the park that lead to beautiful sites and down to the lake. Walking to the natural bridge! 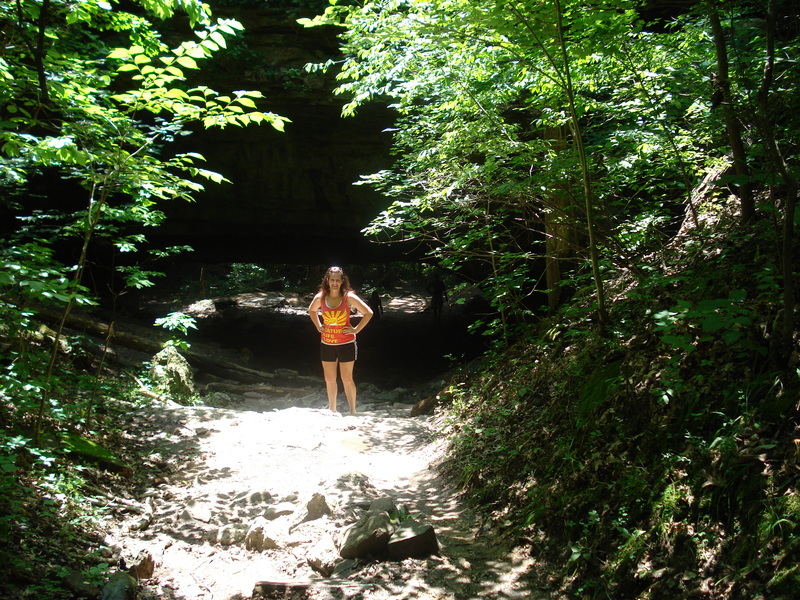 This trail offers the breathtaking and lush scenery of southern Missouri that I love. This natural bridge spans 60 feet, is 100 feet high, and is 70 feet wide. 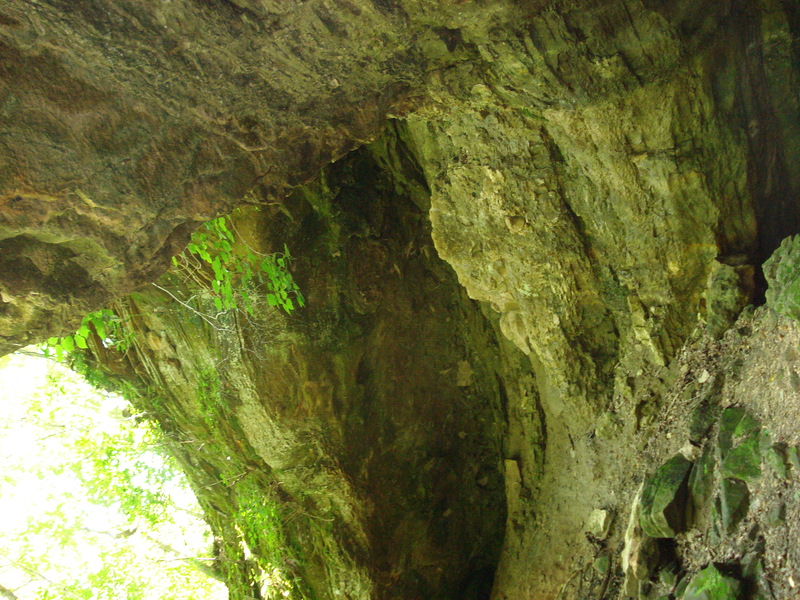 Looking up the open cave. After a heavy rain, water often cascades off the back side making its way to the lowest point in the sinkhole beyond. Inside it’s cozy and cool. The other side of the natural bridge. 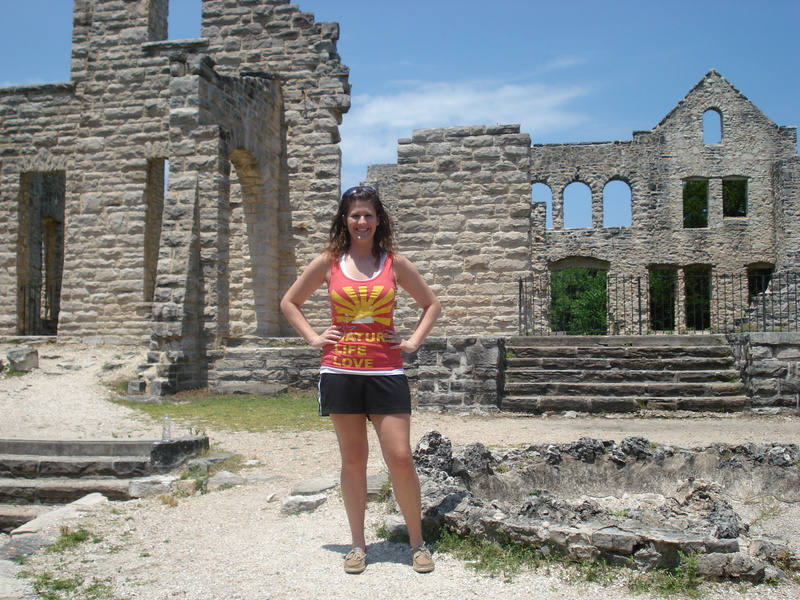 Our next stop in Ha Ha Tonka was to the castle! It’s a good hike up to the stone ruins, about a mile and a half, but it’s fairly easy walking and you get great views of the lake. 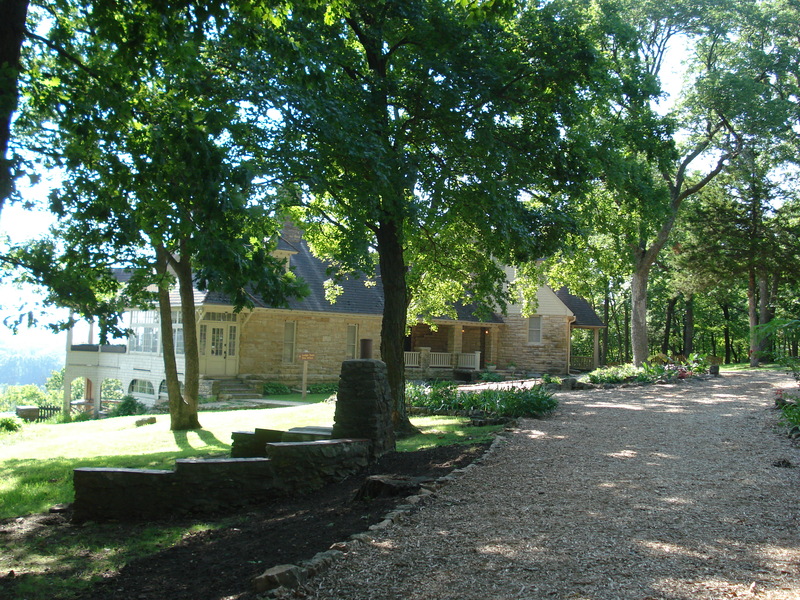 The trail begins with a shaded walk through a wooded area that opens up to the carriage house ruins. 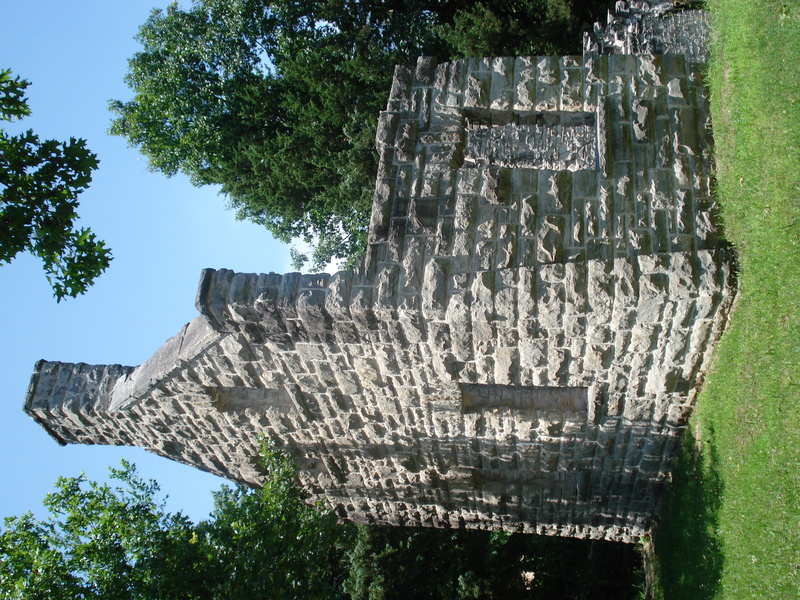 The stone ruins of the carriage house. 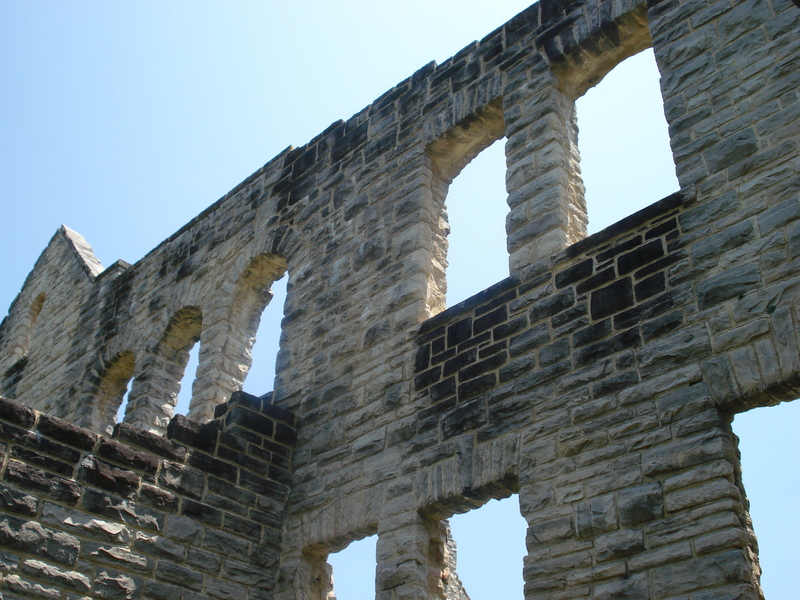 As you continue winding up the trail you are treated to three scenic overlooks before arriving at the castle ruins. 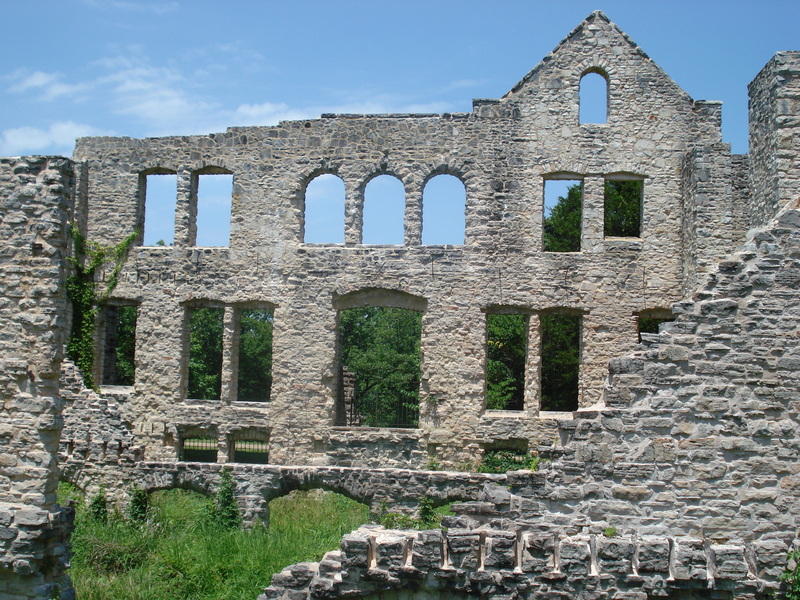 The stone ruins are pretty substantial as you begin to picture how massive this home was originally. 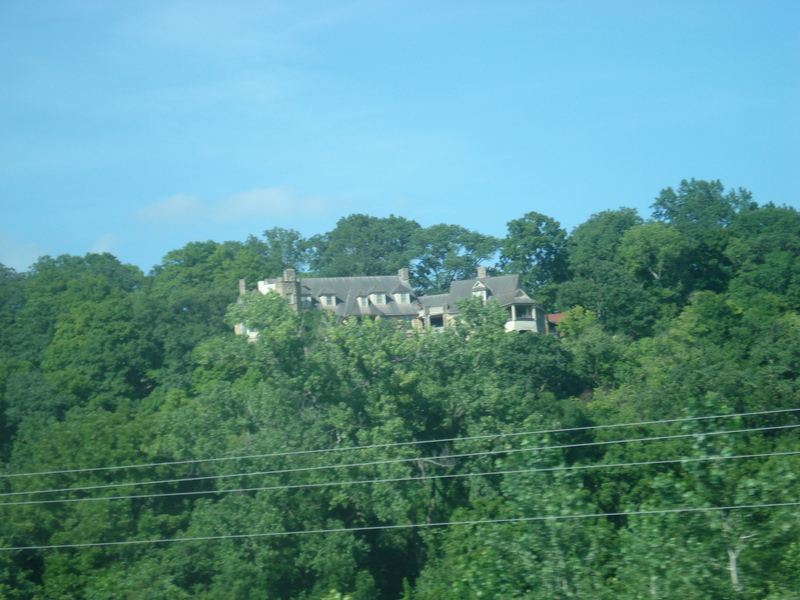 You can easily see how impressive this mansion looked perched high above on the bluffs overlooking the lake. Even though just the stone frame of the castle is left standing it is still an incredible sight and represents the craftsmanship and the majesty of a man’s dream to build his own European castle. 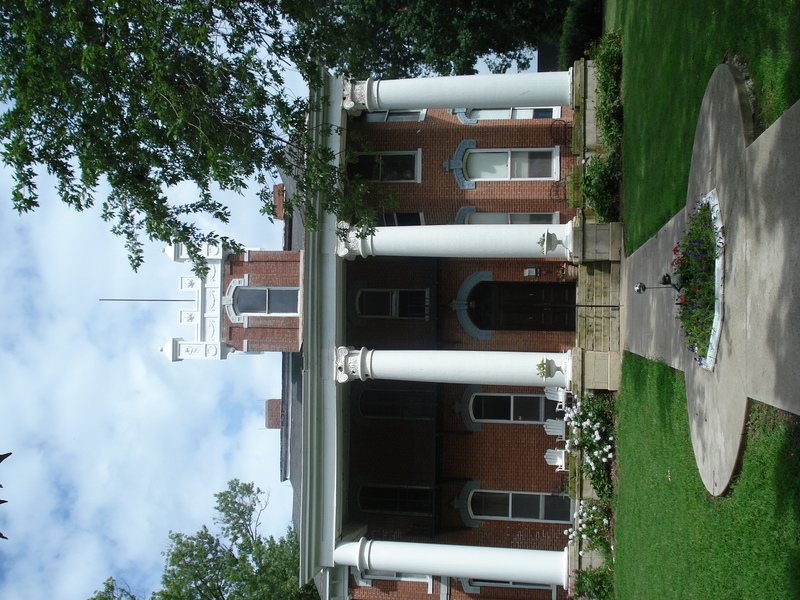 In the early 1900s, Robert McClure Snyder, a wealthy and prominent Kansas City businessman, visited the area known to the natives as “ha ha tonka” and knew it was the ideal setting for his European-style mansion. 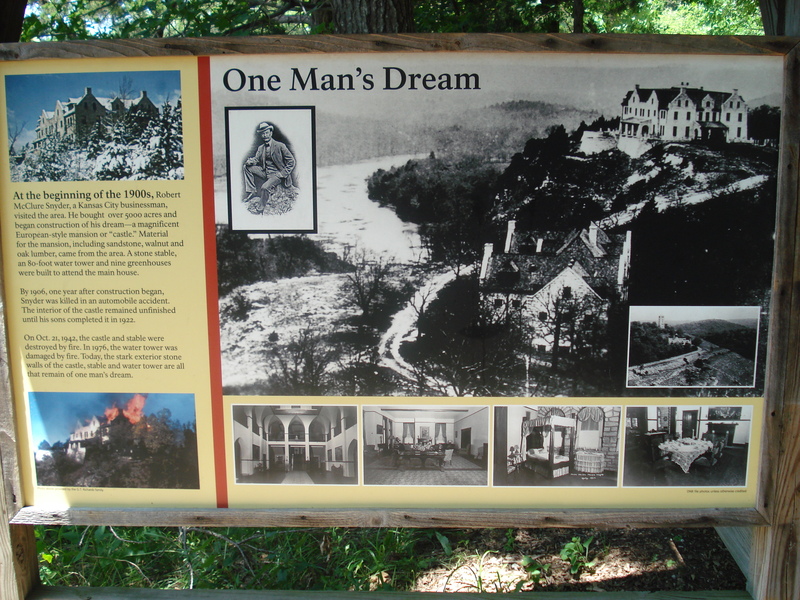 In 1904 Snyder purchased over 5,000 acres and began construction of his dream in 1905. Sadly, he was killed in an automobile accident in 1906 and never saw the completion of his castle. The interior remained unfinished until his sons completed the mansion in 1922. 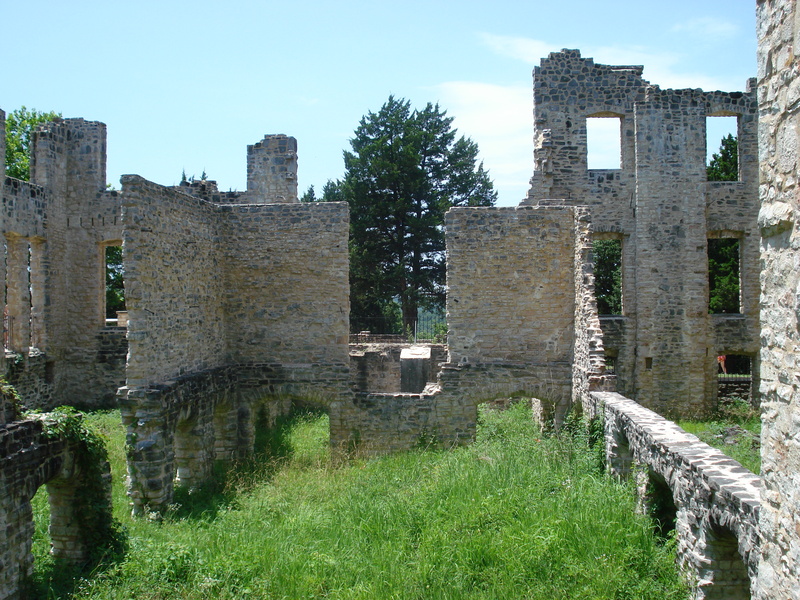 The castle was then used as a hotel until it was destroyed by a fire in 1942. 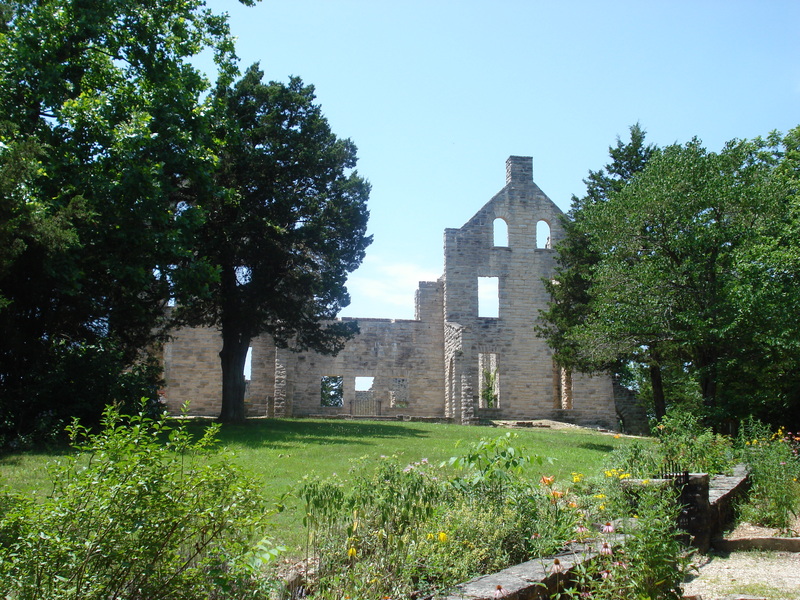 It then sat empty and abandoned for several decades until the State of Missouri purchased the castle and grounds in 1978, and opened it to the public as Ha Ha Tonka State Park. 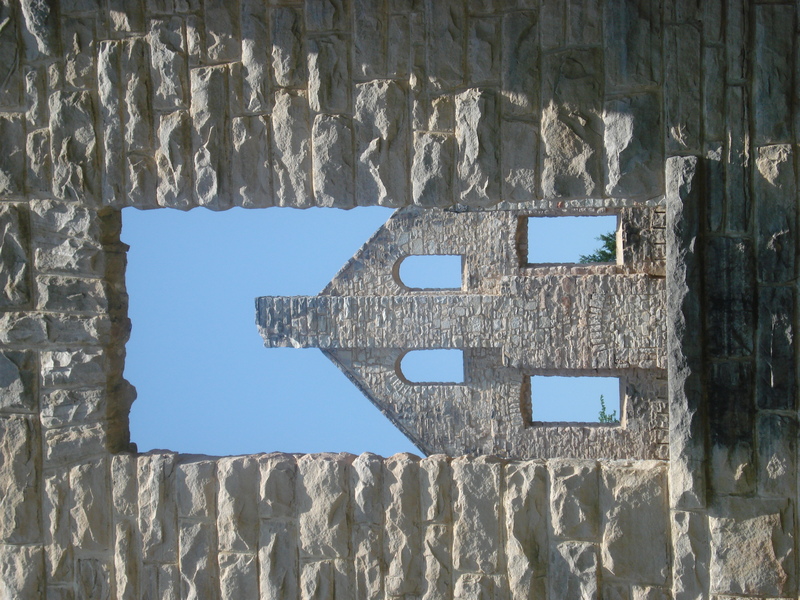 I highly recommend visiting Ha Ha Tonka State Park and exploring the many sites the park offers. The castle is definitely a highlight and it’s extraordinary to see these imposing stone walls are all that remain of a man’s dream to build his own castle. There are plenty of benches along the trail for resting as well as signs that depict the park’s history. If you click on this picture it will open up bigger into a new window and you can more clearly see the pictures of the original house and one with it on fire. 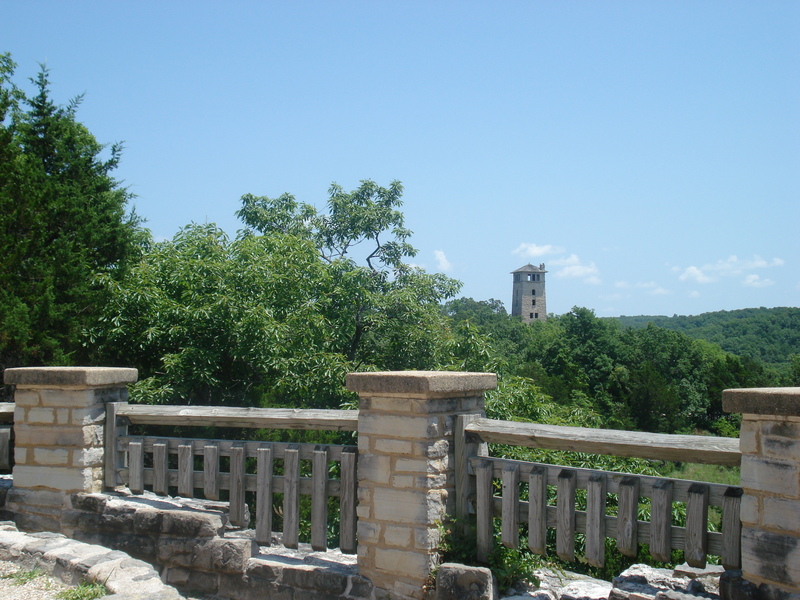 A view of the Lake of the Ozarks on the trail to the castle ruins. 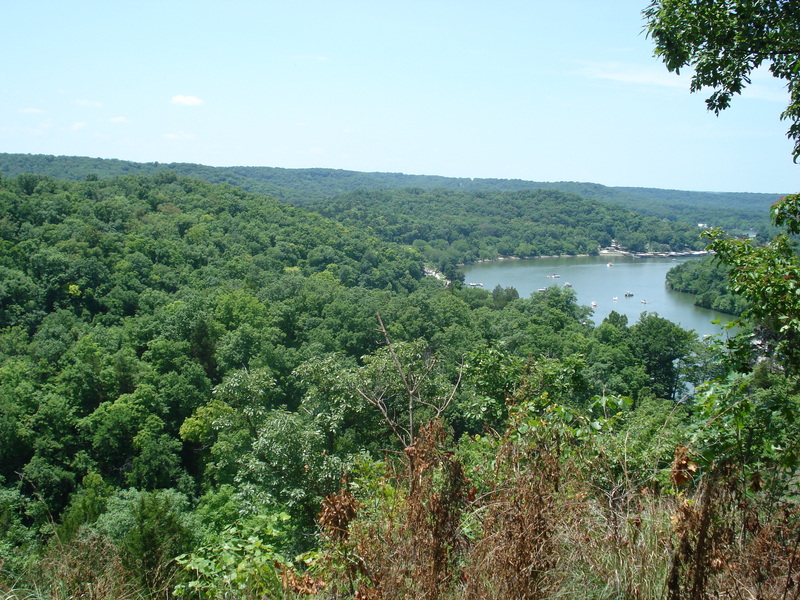 The Lake of the Ozarks from the Castle Trail. We arrived at the castle! 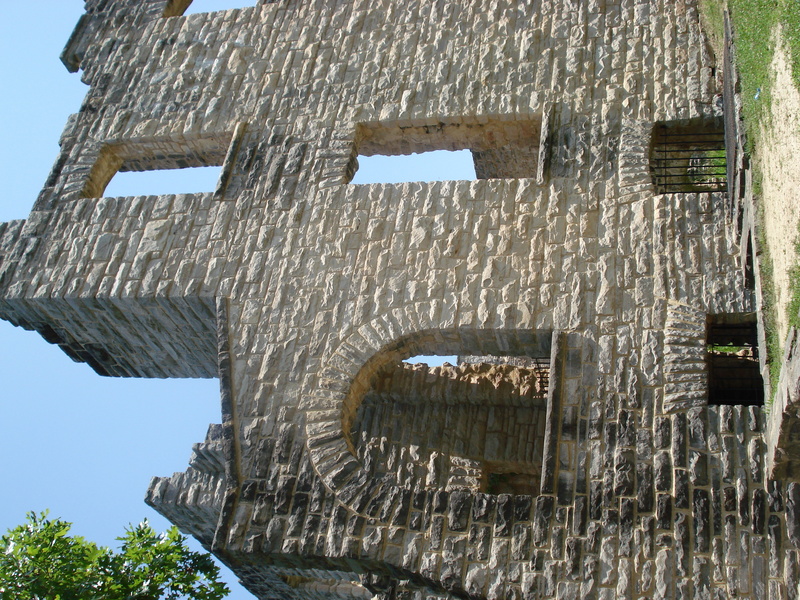 The castle ruins still illustrate the grand architecture of the original structure. 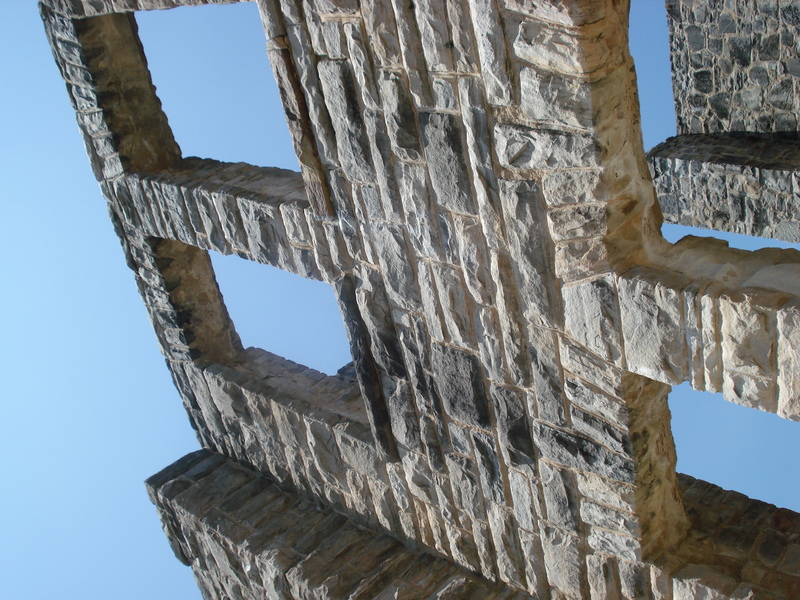 Material for the castle all came from the local area and included sandstone, walnut, and oak lumber. The castle is a pretty spectacular structure even if only the walls remain. The castle has an open floor concept. The basement is still unfinished. 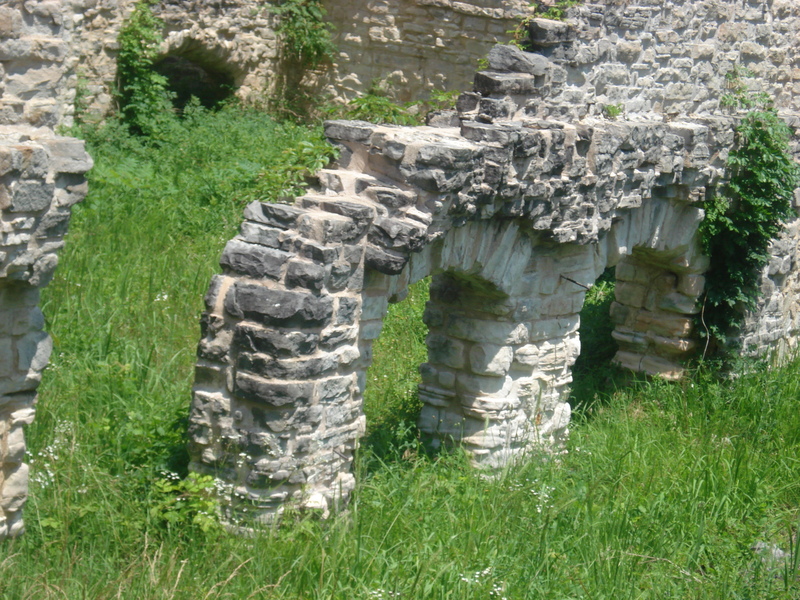 The support arches for the basement. My attempt to be artsy through a window frame. Mr. Snyder’s tragic death was one of the first automobile fatalities in Missouri. 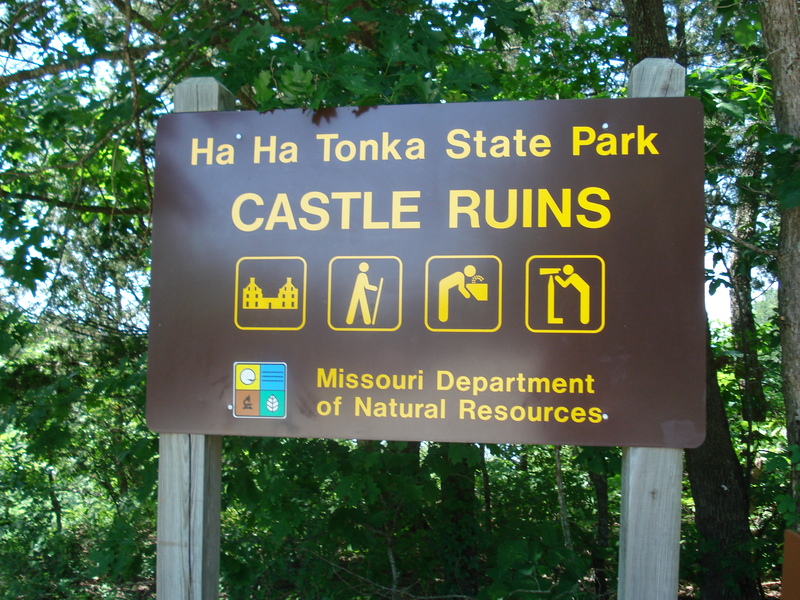 This area was known by Native Americans as “ha ha tonka” which supposedly means “laughing waters,” alluding to the springs below the castle. A risk of living this isolated is help for extinguishing fires is far away. 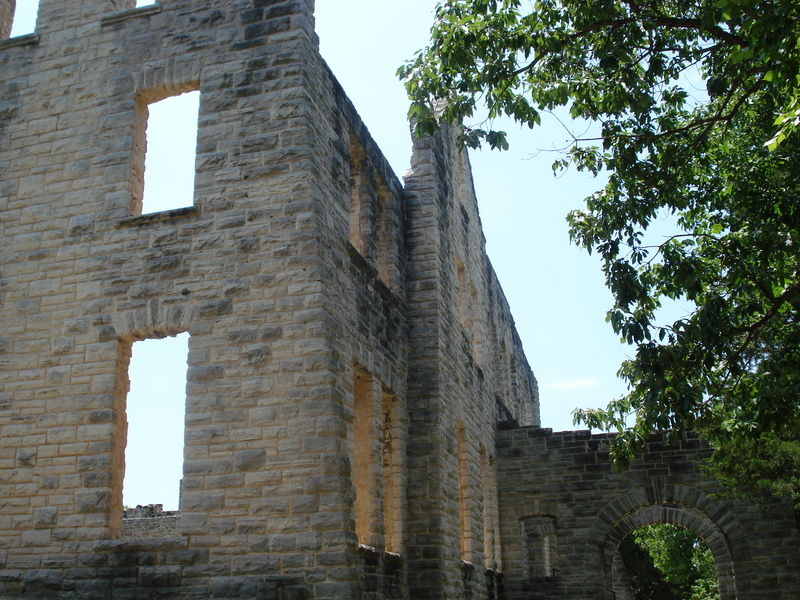 Scars from the fire are still visible on the stone walls. The grounds included an 80-foot water tower, a carriage house and nine greenhouses and other smaller structures for attending and maintaining the mansion. 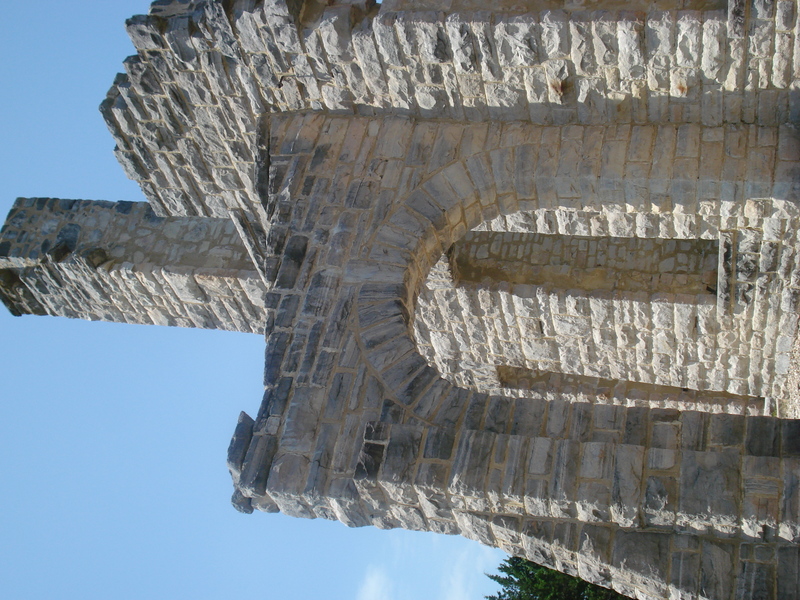 Today all that remains are the stone walls of the castle, the water tower and the carriage house. 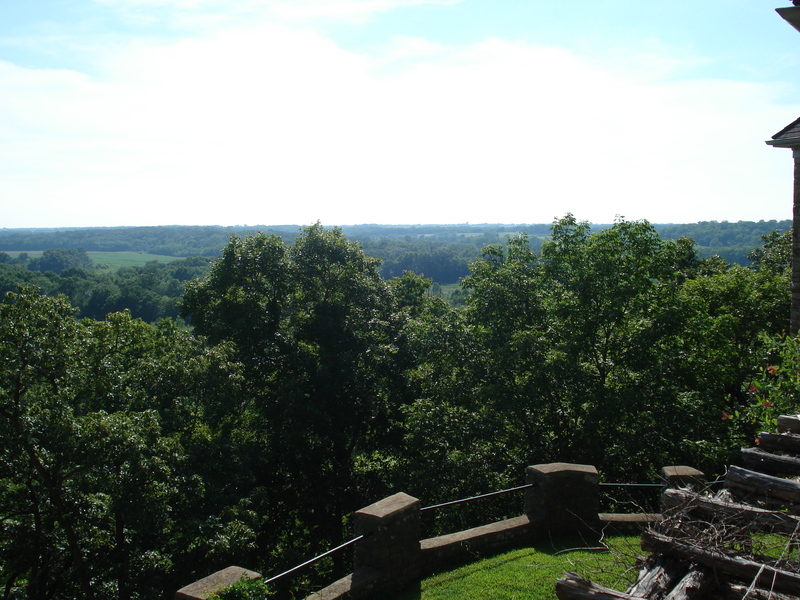 A view of the water tower from the castle. 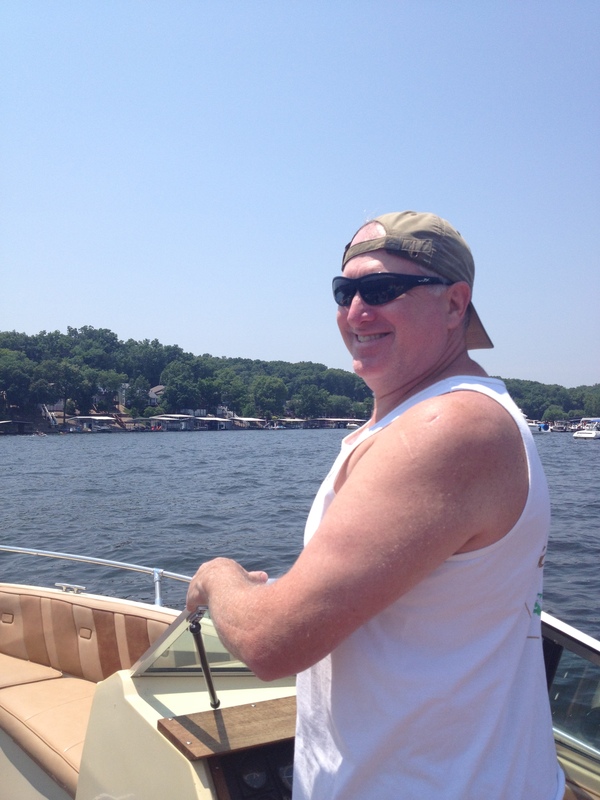 My time at the lake is over for 2013, but I’m eagerly anticipating my 2014 summer plans because there are many detours and adventures to take while visiting the Lake of the Ozarks. I highlighted some of my favorites in this post but there are still many left for me to explore! Sometimes we can take our home cities and states for granted, but you might not always live in your hometown so take advantage of adventures within your daily reach and see what your state has to show! Missouri is the show-me-state after all! This is an annual festival that MAYBE deserves a visit one day while at the lake. 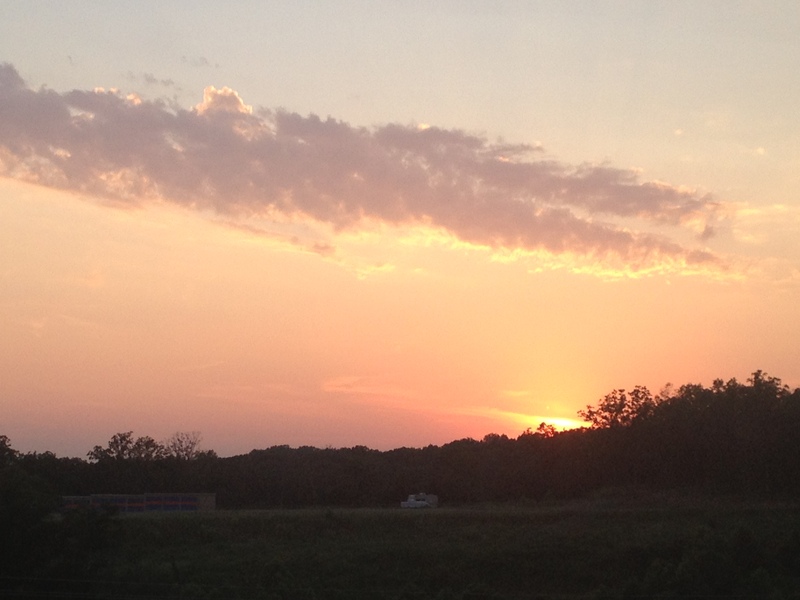 Beautiful Missouri sunset. Farewell, Summer!